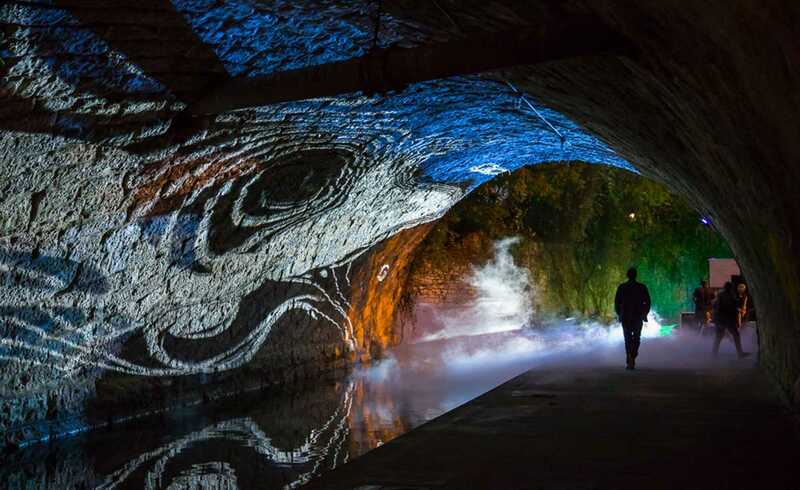 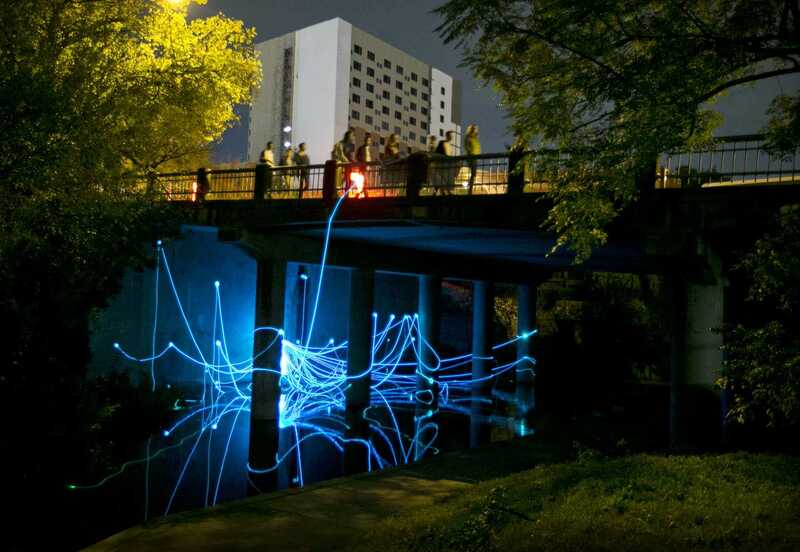 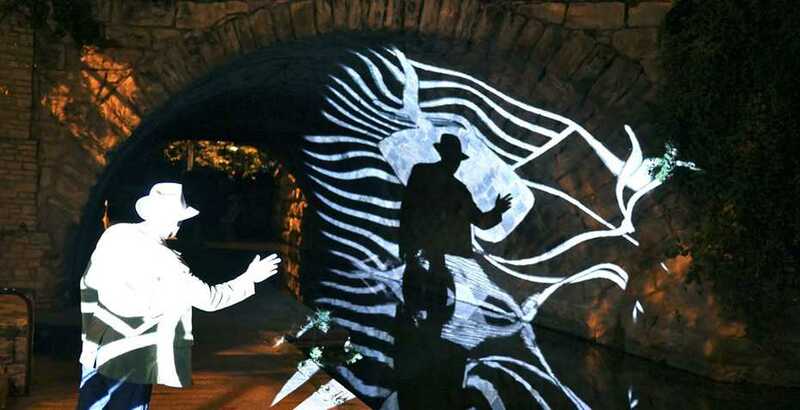 The creek show in 2015 was proposed by the waller creek conservation association as a two-week public lighting device aimed at raising awareness of the future transformation of waller creek and its surrounding paths and parks. 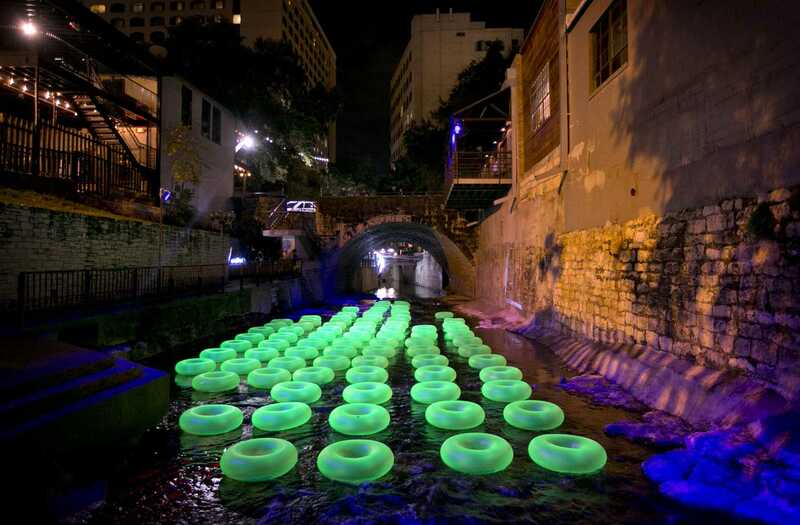 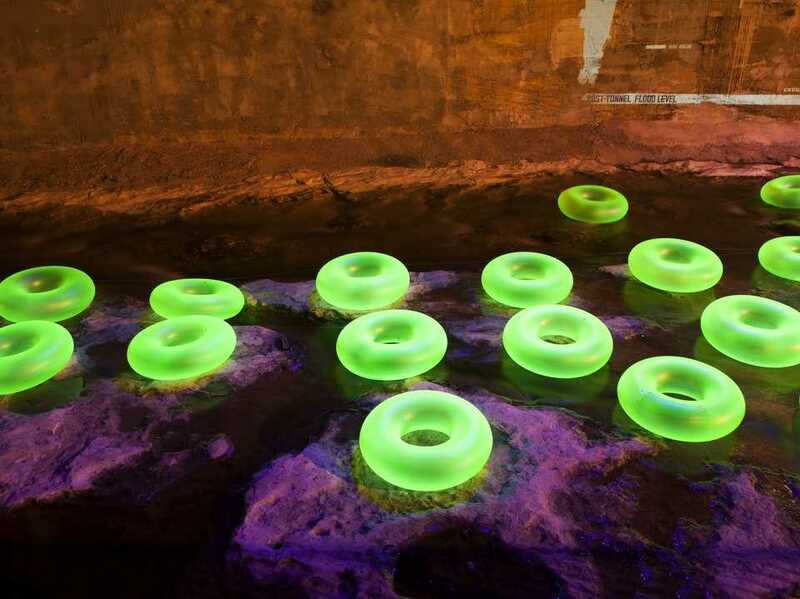 As one of the five artists at the exhibition, ten eye landscape architects designed a device inspired by floating rivers, which is a miniature of water entertainment in central Texas. 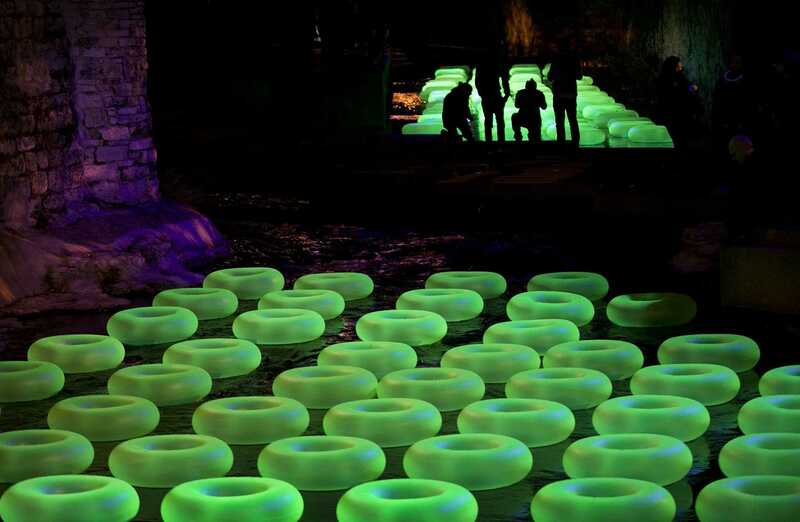 Installation, a field with more than 200 lighting inner tubes floating on the changing surface of water, symbolizes the desire of city residents to interact with water. 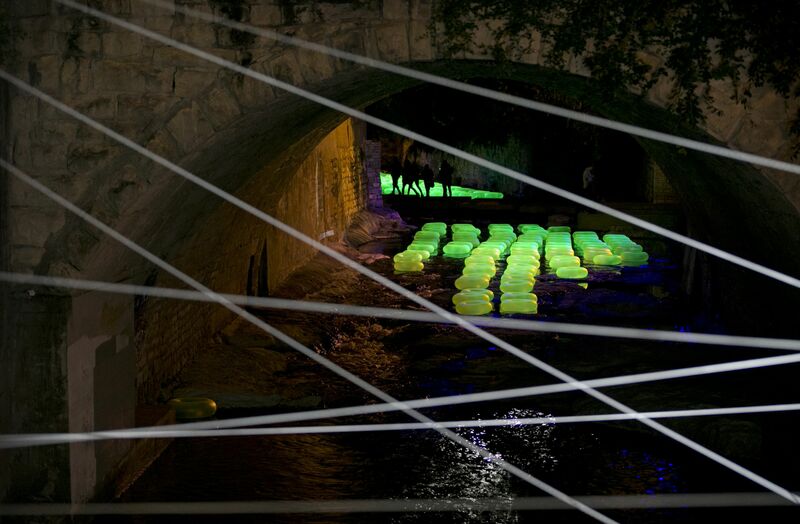 The facility not only attracted Crick corridor, but also attracted water itself, highlighting the need to improve the water quality and accessibility of urban waterways.